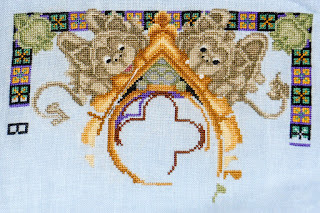 I have three quarters of a quatrefoil outlined now. Things are progressing nicely. 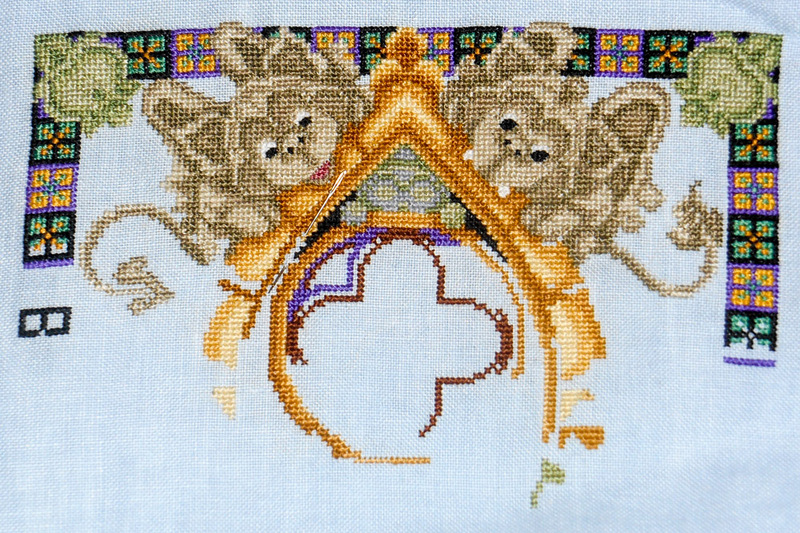 The left gargoyle is completely cross stitched.